Home » About Us » News » IEC vs NEMA: Which is Best? 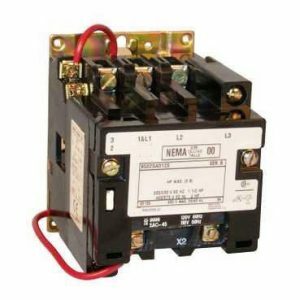 IEC vs NEMA: Which is Best? With so many different electrical contactors and starters to choose from, you may be curious about the pros and cons of IEC vs NEMA rated devices. Read on to learn more about the two different standards organizations and which one might suit your intended application best! The International Electrotechnical Commission (IEC) is a non-profit, non-governmental international standards organization that prepares and publishes international standards for all electrical, electronic, and rated technologies, which are collectively referred to as “electrotechnical”. This organization traces its roots back to 1881 and has been involved in developing and distributing many well-known units of measure like Hertz (frequency – cycles/second) and Gauss (magnetic flux density). The National Electrical Manufacturers Association (NEMA) is the largest trade association of electrical equipment manufacturers in the United States. Founded in 1926, NEMA urged manufacturers to utilize a standard “frame” size to allow parts from different manufacturers to be standardized, and to design components with safety factors over and above their design ratings. The difference between IEC vs NEMA is that a NEMA contactor, by design, may have up to 25% service factor while IEC is more focused on space and cost savings by testing components to their exact design rating, and using utilization categories to rate devices based on their intended use. For example, a utilization category of AC-1 is for purely resistive loads, or only slightly inductive loads, like a heater circuit. AC-3 is for routine starting and stopping of a squirrel cage motor and only occasional jogging. AC-4 is similar to AC-3 but includes “inching” and “plugging” (jogging and reversing at speed), which requires significant instantaneous control of the motor current. As a result, particularly for devices below 100A or 50HP, the NEMA rated motor starters and contactors are going to be much larger and much more expensive. IEC will also have many more options for a particular current or power rating, which makes proper selection much more critical than with NEMA components. This is where many misunderstandings have arisen in the United States with respect to the IEC system. – Visually the NEMA starter looks larger than the comparable IEC starter and some think this makes it “more robust”. In actuality, it’s simply oversized by design. – Often times, the wrong IEC classification for a given application will be utilized. As a result, the IEC system itself is blamed when it doesn’t perform as expected. The reality is that the UL testing is the same for both IEC and NEMA starters. Knowing this, there are instances where each classification system has its merits. IEC is smaller and less expensive when the operating conditions are well defined. NEMA devices may be a better choice when operating conditions like load are not well defined. IEC starters include single phase detection, and faster reaction to overload conditions, while NEMA devices can more easily withstand short circuits. NEMA starters have an open design, so often safety covers are required, while IEC contactors and starters are inherently finger safe. IEC devices also have many more options to network components together into a distributed control system using open fieldbus standards, which can be important in modern plant control systems. As you can see the differences are not as simple as we often try and make them. It’s not a question of “which is more robust” or “which is more cost effective”. It’s about understanding the application requirements, and the differences between the two systems and selecting the proper device for the job.